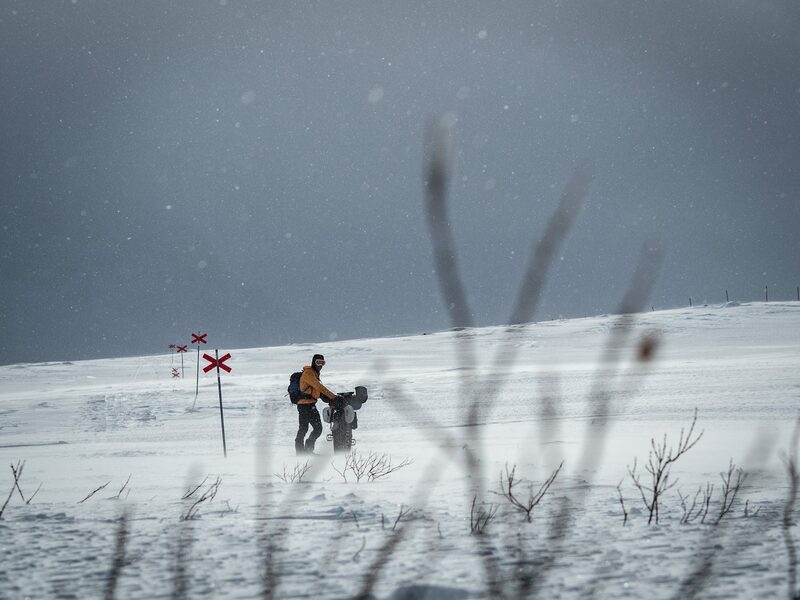 Coming from a windy, damp island in the Atlantic, Brits seem drawn to frigid places as if by some magnetic force. 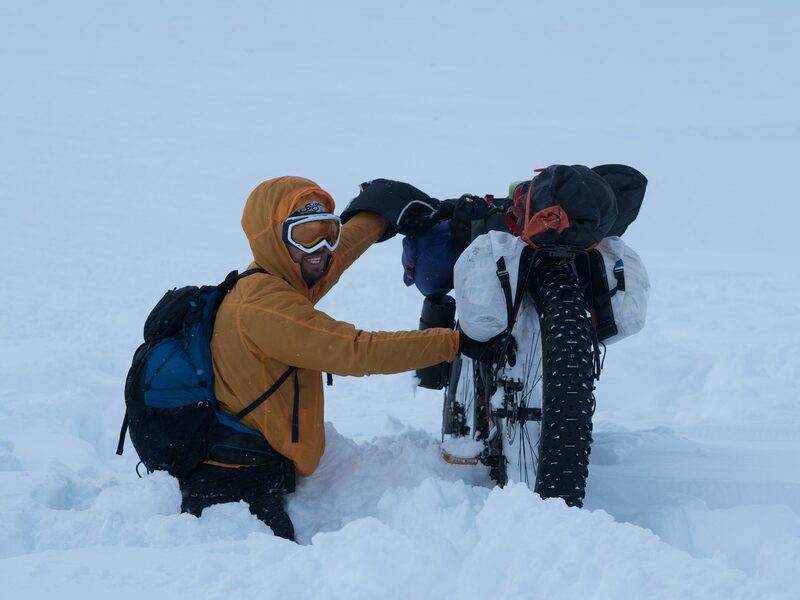 Wherever opportunities arise for cold, dark suffering in far-flung parts of the world, you’ll find a Brit got there first and ended up having to eat his or her own boots. 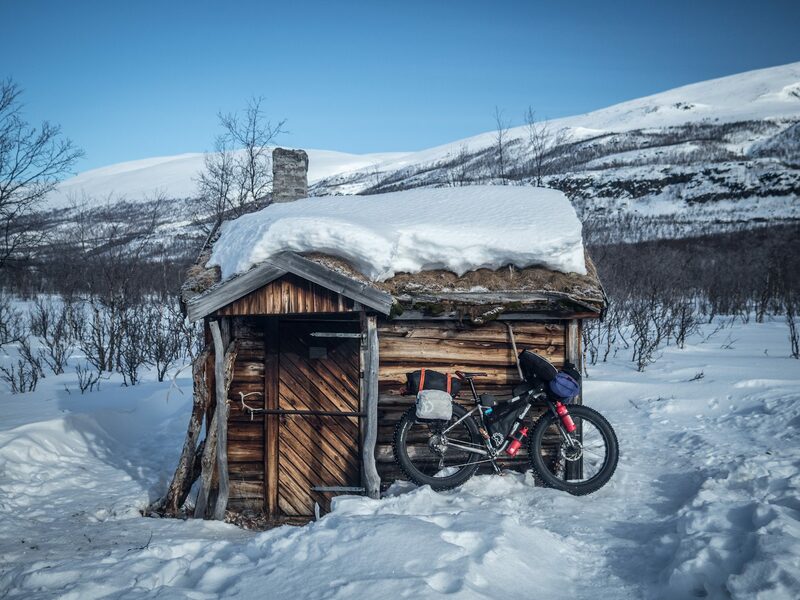 That said, masochism is a questionable motive for adventure, and when we made plans to explore the mountains of northern Sweden by fatbike last spring, we hoped we might learn to enjoy winter travel rather than endure it. 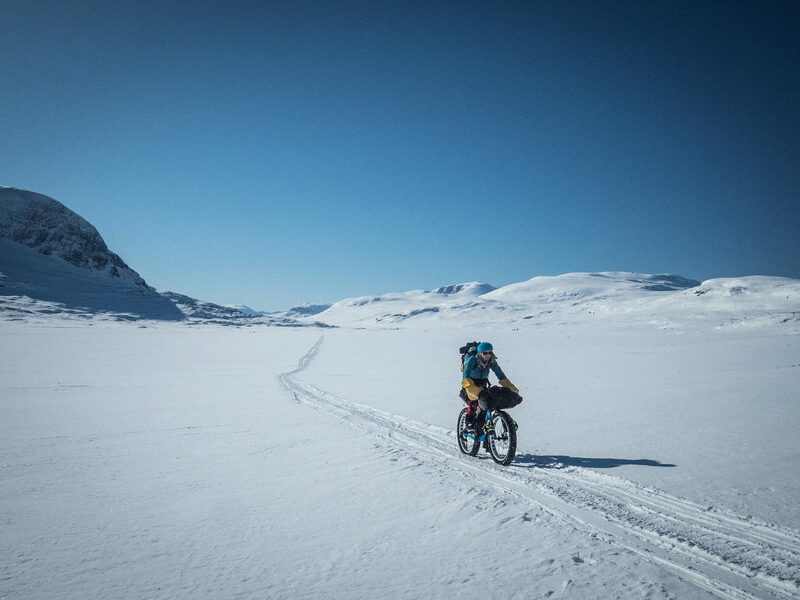 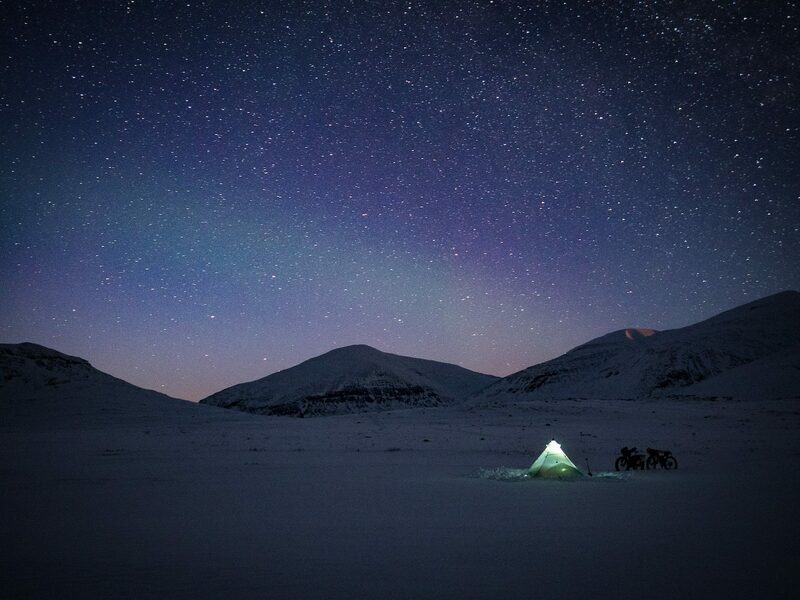 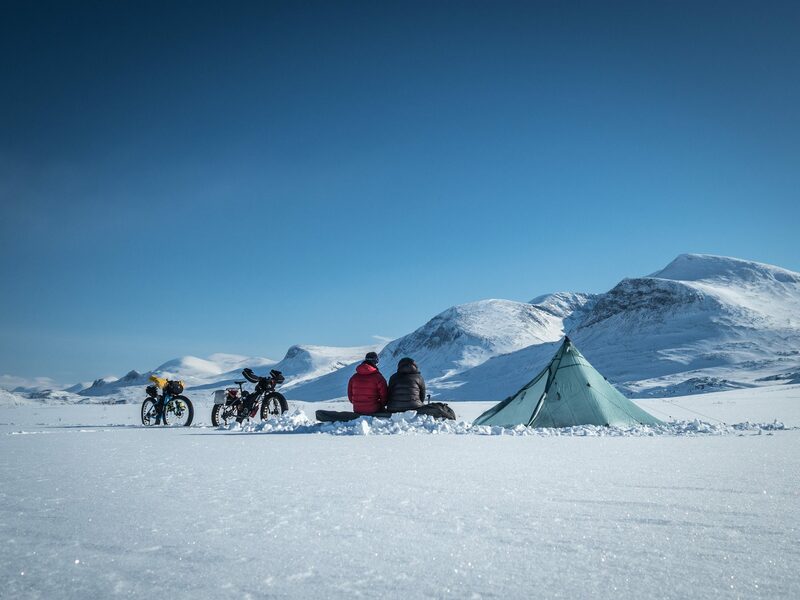 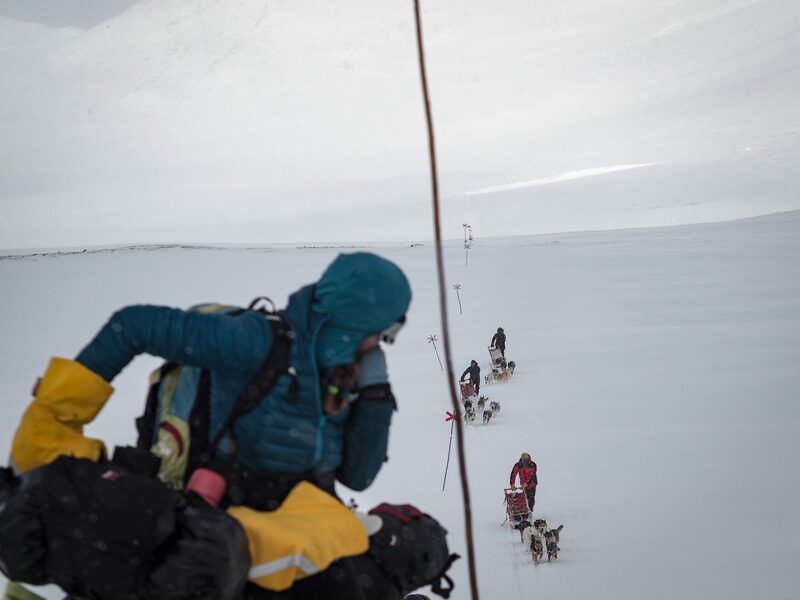 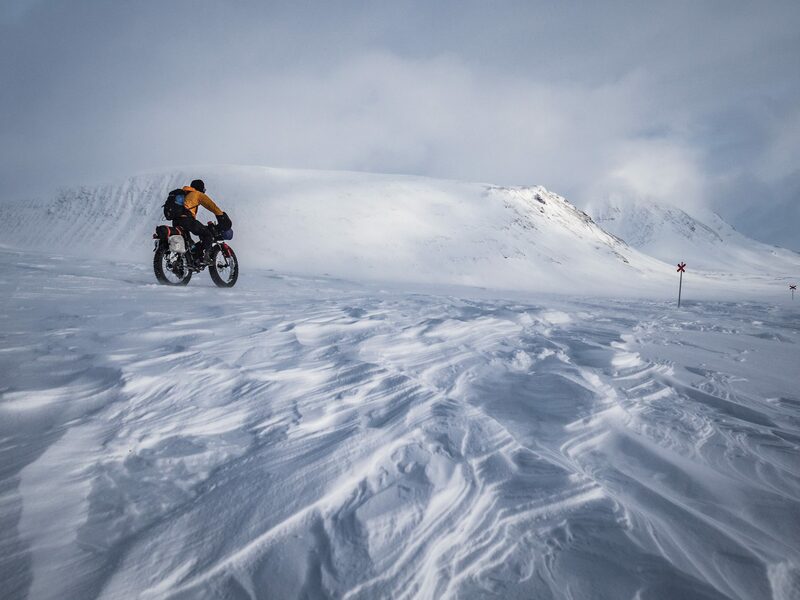 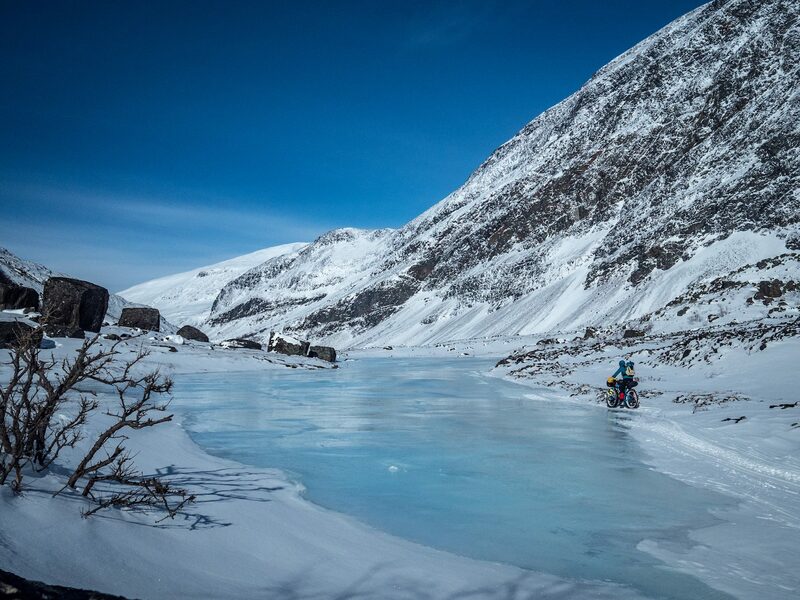 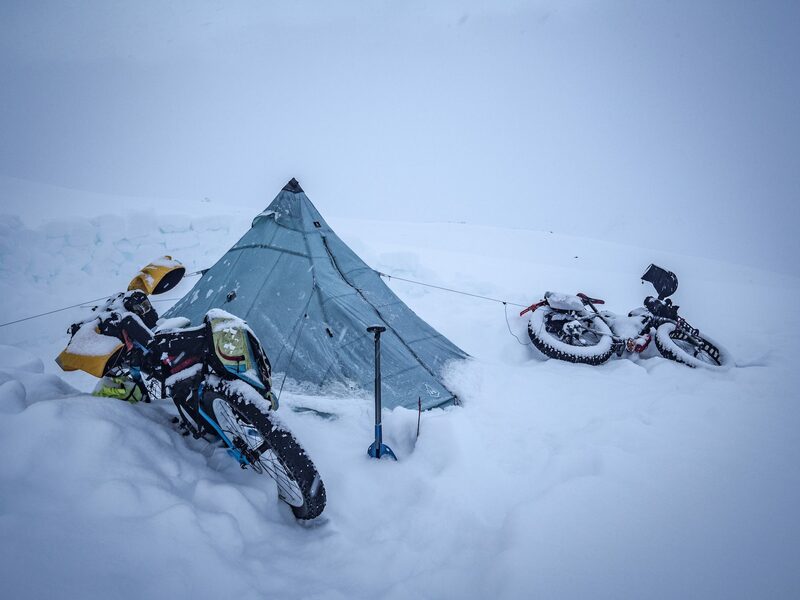 We started by equipping our bikes with the necessary gear to travel for ten days on a mixture of snowmobile and ski tracks and followed that with plenty of practise camping in the snow and managing all those simple, everyday camp tasks in temperatures of -20 degrees Celsius. 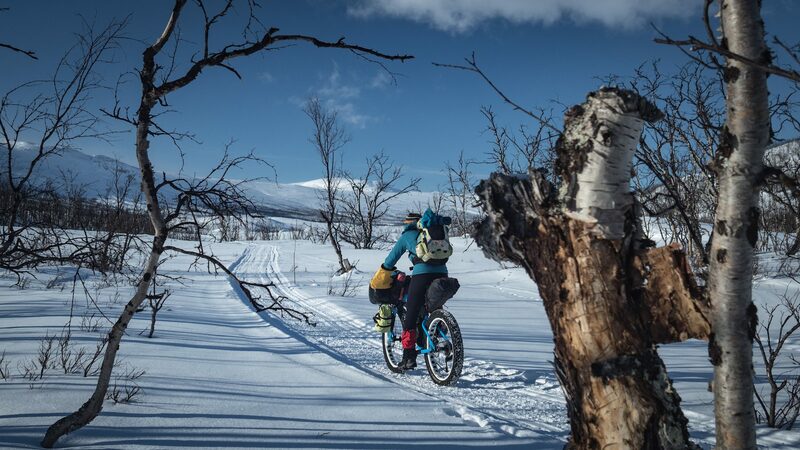 We confronted plenty of unknowns, but wholly absorbed the rewards of brittle, freezing morning sunshine on firm snow, aurora by night, and the boundless expanse of Lapland’s mountainous interior. 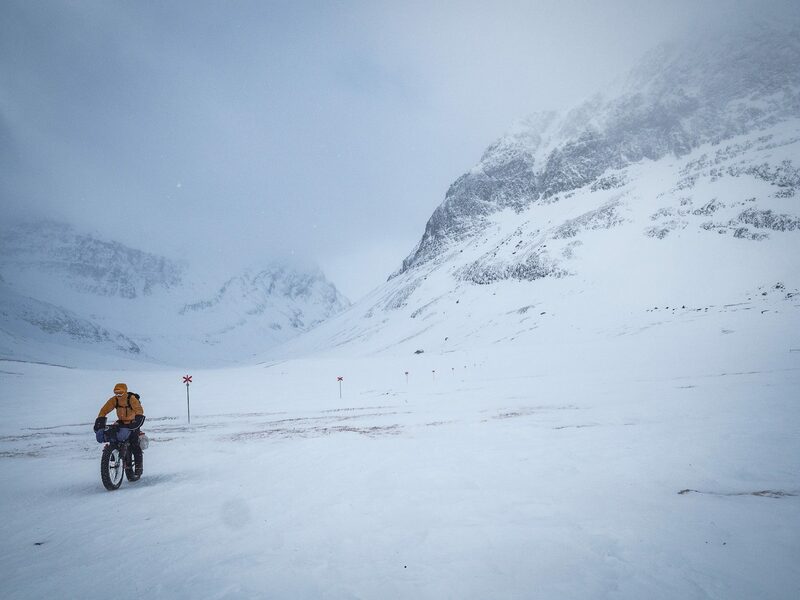 As with any adventure, we wouldn’t know the outcome and we experienced our fair share of highs and lows, but throughout it all we fell in love with the peculiarly liberating feeling of living outside and traveling self-sufficiently by bike over a winter landscape.